We looked into right-handed shooters having their left-eye dominant. We read every article we could find and watched videos related to this topic. We gathered all the information and found 6 products that will help a left-eye dominant, right-handed clay shooter. After the above quick test and find that you are left eye dominant, you can read below about a laser pointer to confirm your left-eye dominance and 5 products that will assist in getting rid of the left master eye. Laser pointer can be used to find left-eye dominance by mounting your gun to a paper target. The Laser Pointer can be inserted into one of the barrels of your shotgun and you can test at home or at a shooting ground. The laser can be used for many other things such as practicing gun mount, target shooting and assessing gun fit issues. 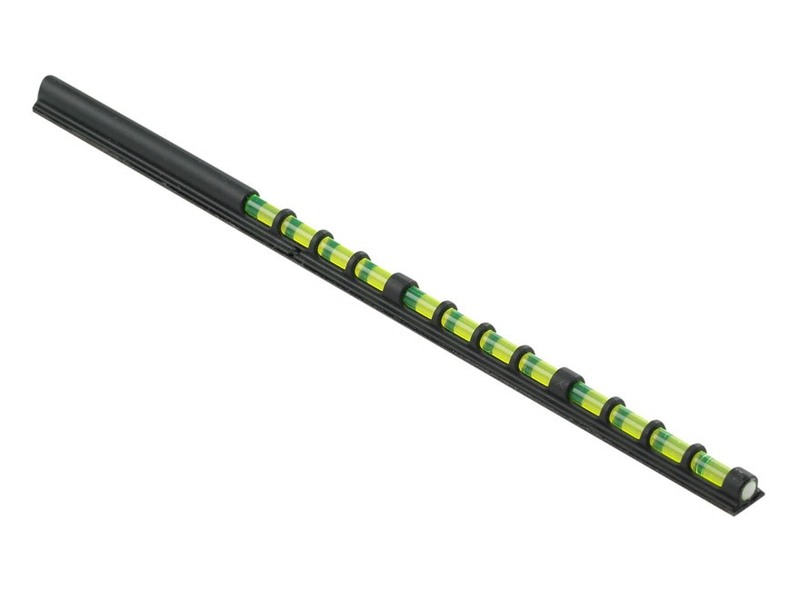 This is a great tool for any clay shooter. When a shooter mounts the gun several times to the paper target and consistently is to the left of the target, you are likely to have a left-eye dominance. 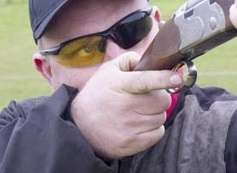 To prove the left-eye is dominant, a shooter should close the left-eye and repeat mounting to the target. If you consistently hit the center then this proves you have a left-eye issue. Below are 5 products that will help prevent the left eye becoming the master eye. Each shooter is different, so different products will have different effects to the shooter. 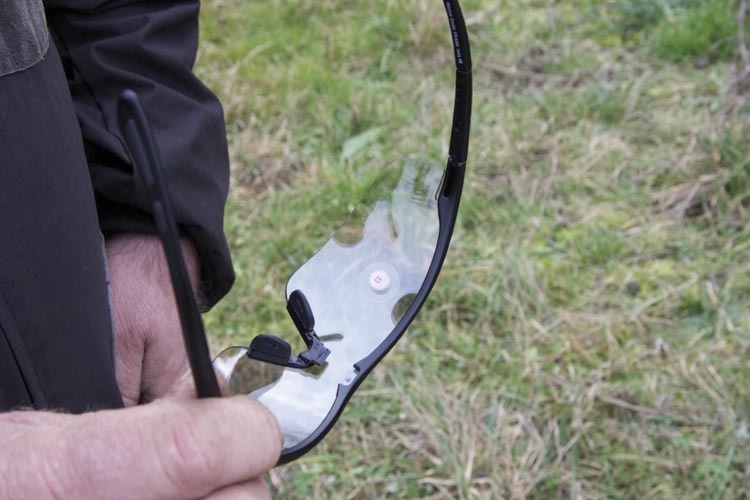 Master Dots are translucent circles that are put on the left lens of the shooters glasses. The dot should be placed in front of the left eye to reduce the left eye becoming the master. Shotspot is also similar to Master Dot but is a larger diameter. The larger diameter tries to take the total focus away from the left eye so the right eye can have full focus. It has to be in exactly the right place in order for it to work. Redeye is similar to Master Dot but the difference is it can be moved into the correct position. Master Dot sticks to the lens where as Redeye uses a well designed magnetic strip. This enables the shooter to get the optimum position to reduce left eye becoming the master. Easy Hit Bead works by having it attached onto the rib of the shotgun. When correctly positioned in the right place, it tries to make the image chosen by the brain is the one over the rib of the gun. You are relying on the fact that the brain will always choose the clearest image. 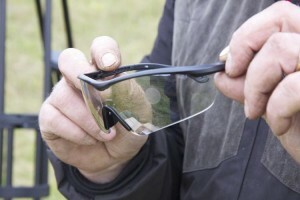 Glasses with interchangeable lens also you to have different colour lens for each eye, example would be dark lens for the left eye and bright lens for the right. This tries to get rid of the left master eye by not allowing as much light into the eye. This provides the most natural way of getting rid of the master eye because nothing in your line of vision. I’m left handed, shoot with a right handed gun, and have to close my right eye as its the dominant one, I’m doing this 20+ yrs! Should I just continue? Or give it up ha ha. i am right handed and i cannot close my left eye. what should i do in this case? @pinku thanks for your comment. I have been shooting for many years and clay pigeon is what I have always done. I have found that closing one eye doesn’t help in the long run. It’s better to shoot with 2 eye open as you will get a true picture of the target with relationship to your gun position. When shooting with one eye, you will get a 1 dimension view of the target. This means you will loose the depth of your vision and not know how far the target will be. I refer to this type of shooting as a “rifle shot”, I would only do this when the target is close and doesn’t have any angles in flight. It did take time to learn how shoot with 2 eyes open as before I did shooting with one eye. The picture will be different and will take time to adjust but I really did find it better.